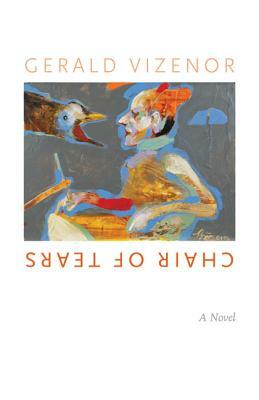 The best stories create traditions, and this novel by celebrated Native American writer Gerald Vizenor is a marvelous conjunction of trickster stories and literary ingenuity. Chair of Tears is funny, fierce, ironic, and deadly serious, a sendup of sacred poses, cultural pretensions, and familiar places from reservations to universities. The novel begins with generous stories about Captain Eighty, his young wife, the poker-playing genius named Quiver, and their children and grandchildren who live on a rustic houseboat. Captain Shammer, an extraordinary grandson reared on the houseboat and with no formal education, is appointed the chairman of a troubled Department of Native American Indian Studies at a prominent university. Shammer is a natural enterpriser and ironic showman in the tradition of trickster stories. He arrives at the first faculty meeting dressed in the uniform of Gen. George Armstrong Custer. Native students celebrate his conversion of the department into an academic poker parlor and casino, and a panic radio station. The most sensational enterprise is the training of service mongrels to detect the absence of irony. An irresistible novel of original ideas, Chair of Tears gets to the heart of questions about identity politics, multiculturalism, pedantry, and timely virtues. Gerald Vizenor is Distinguished Professor of American Studies at the University of New Mexico and professor emeritus at the University of California, Berkeley. He is the author and editor of more than thirty books, including Hiroshima Bugi (available in a Bison Books edition) and, most recently, the novel Shrouds of White Earth.